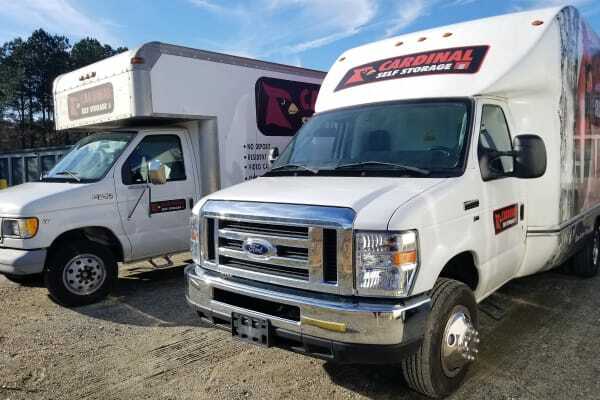 Simplify your moving day with a moving truck rental from Cardinal Self Storage - West Raleigh. Our Raleigh, NC, moving trucks are well-maintained and simple to drive. We make it easy for you to move into your new storage unit or your new home. Give yourself moving day peace of mind. Our friendly and professional staff can help you select a truck and answer any questions you have. Get the details on a free truck and unit sizes from our Cardinal Self Storage managers in Raleigh. We will help with everything from estimating the size of an appropriate unit to offering furniture storage tips. Call us today.